French - Nowadays, we are all looking to improve our health and lifestyle and to do so we are all starting by changing the way we eat. Some will stop eating meat, milk, others gluten, bread.. Some will start a detox cure by drinking soups and juices for three days and others will try to incorporate super-foods to their everyday diet in order to maximize their well-being and to avoid winters' flu. Godji berries: was used in the Chinese medicine. It is a natural source of anti-oxydant which help you to improve the quality of your skin, to improve your immune system and can reduce cold symptom due to its high level of vitamin C. How to consume it: You can sprinkle some berries on top of your smoothie and dessert. Spirulina: is a natural algae riches in protein, nutriments, amino acids and iron. It is advice to people who do not consume meat on a regular basis, in order to improve and increase their iron level. It is also perfectly suitable for people who want to boost their immune system, help their allergy reaction, increase fat burning due to its high level of vitamins, chlorophyl, potassium, calcium, chromium, iron, magnesium, manganese, phosphorus and zinc. How to consume it: You can incorporate it to your smoothie or on top of your breakfast bowl. Açai berries: is an indigenous berries found in the rain forest of the Amazon. These berries are rich in plant sterols which improve blood circulation, in antioxidants which help to lose weight and promoting skin health, in vitamins C which boost your immune system, suppress the growth of cancer and improve mental function. How to consume it: You can incorporate it on your smoothie, juices and yogurts. Maca powder: is a root that grows in the Andes mountain of Peru and used for its medicinal purposes due to its incredible nutriments improving your health such as calcium, magnesium, iron, vitamin B and C. Maca is also well-known for boosting the body to produce good energy that release the proper quantity of hormones in order to reduce issues that can be caused by them. This plant helps to balance proteins, vitamins and minerals in your body in order to maintain a perfect harmony, boost your energy, balance the endocrine level and maintain your mental health. How to consume it: On your smoothies and juices, on daily basis, is perfect. 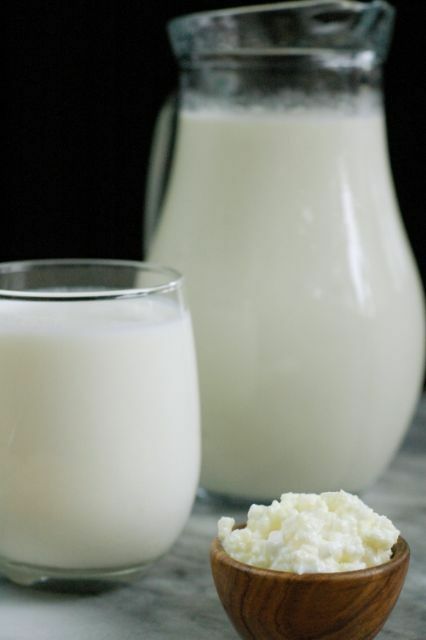 Kefir: named by the Turkish as "good feeling" this unique cultured dairy product has been used to cure many healing issues. It is a fermented milk product that contains calcium, magnesium, enzyme and probiotics. These beneficial microorganisms help to support digestive health and prevent bacteria in the intestines. How to consume it: A friend of mine, turning very healthy, recommended me to drink it throughout the day. 5 Super-foods that you can incorporate to your daily routine to improve your health. Next week, I will add 5 more in order to get through winter in perfect shape.